Deductible: The amount you pay for covered health care services before your insurance plan starts to pay. For example, a $1,000 deductible means you pay the first $1,000 of covered services yourself. Copays and premiums usually don’t count towards deductible. Co-payment (Co-pay): The fixed amount you pay for a covered service. If your co-pay is $20, you pay $20 at the time of each visit. Some plans have no co-pays. Sometimes you don’t have to pay a copay until you reach your deductible. Coinsurance: The percentage of costs of a covered health care service you pay after you’ve met your deductible. Let’s say your co-insurance is 20% (you have a 80/20 plan). You go to the doctors and it costs $100 total. Once you’ve met your deductible, when you get bill you pay $20 and insurance pays $80. Out-of-pocket maximum: We like this term. This is the most you have to pay for covered services in a plan year. 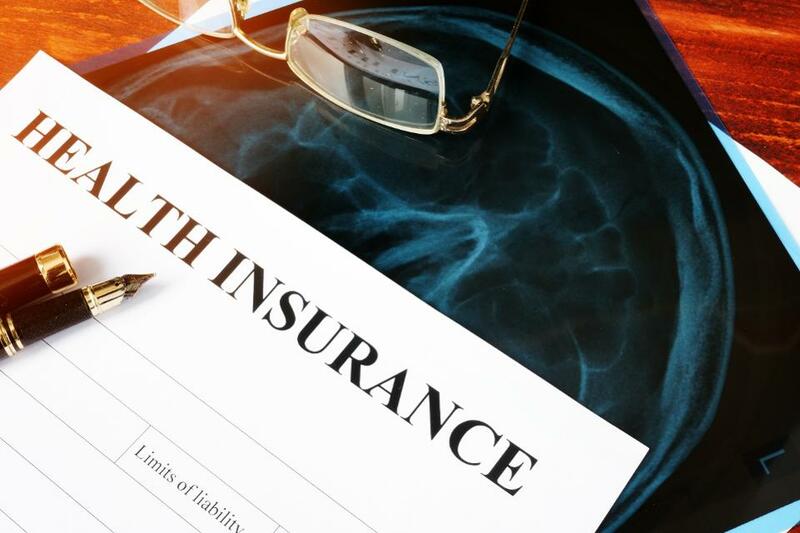 If your out-of-pocket max is $5,000, once you have spent $5,000 on deductibles, copayments, and coinsurance, your health plan will pay 100% of the remaining costs of covered benefits for the year. Putting it all together: Continuing with our example, you start a new job on January 1 with the following health insurance policy terms: Deductible = $1000, Co-pay = $20, Co-Insurance = 20% and Out-of-pocket max = $5,000. February 1: You aren’t feeling well and visit your primary to rule out the flu. Doctor examines you and determines it’s a cold, recommends bed rest and fluids. Total cost of visit is $100. You pay $20 at the office. When you get the $100 bill, you have to pay it in full. Your remaining deductible is $900. March 1: You fall down the stairs, and go to the hospital. They run x-rays and determine you broke your ankle. Total cost of the hospital and doctor bills equals $900. Again you pay your $20 co-pay. When you get the $900 bill, you have to pay it in full. Now it gets interesting. You have now “met” your $1,000 deductible, meaning you’ve spent $1000 out of pocket on covered health services. Finally your insurance will start helping you out. April 1: You go back in for a followup visit for your ankle. The bills add up to $2,000 this time. Pay $20 at office. Now when you receive the $2,000 bill, you now will only be responsible for 20%, or $400. Insurance picks up the other $1,600. May 1: You are in a car accident. Don’t worry, you’re OK. But you did have to spend a few nights in the hospital running tests and having other expensive medical procedures done. This bill comes to a whopping $20,000. $20 co-pay. You get a bill at home for $20,000. Your coinsurance is 20%, so based on this you would owe $4,000. However, you’ve already paid $1,440 ($100+$900+$20+$400+$20) out of pocket this year. Since your out of pocket max is $5,000, the most you can be charged from this bill is $3,560 ($5,000 – $1,440). Your insurance picks up the remaining $16,440. June 1: You decide to stay inside all day because clearly the 1st day of the month is unlucky for you. However, should anything else happen this year, you are now fully covered and won’t have to pay for any more covered health services this year. Of course life is never this simple and there are always exceptions. But if you understood this then you can get the basics of your policy. That being said I’m sure all of this will change next year, so look out for my updates in 2019.